The sun is out and it is time to get a little color on your cheeks, so I am taking this post alfresco to plan the picture perfect picnic! 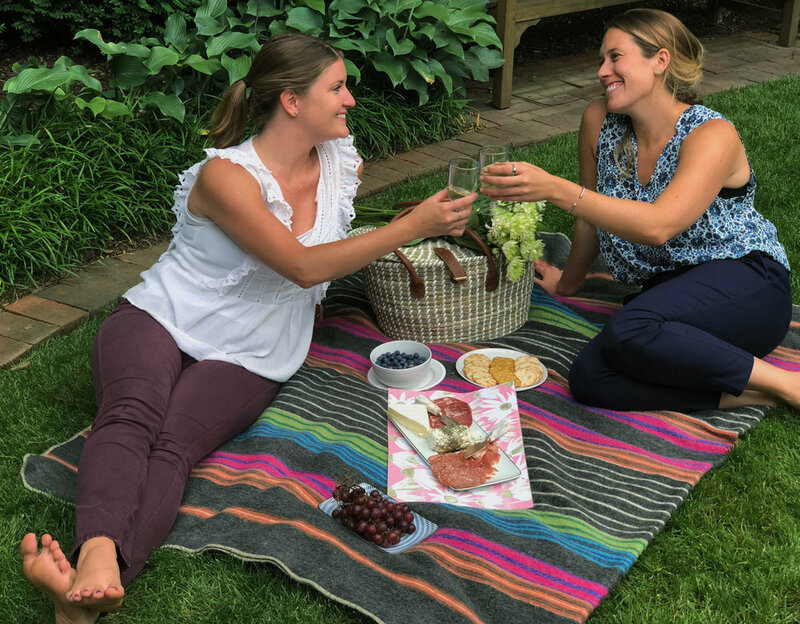 Everyone can throw a basic picnic, but here are five tips so you look like a picnic expert! Summer is a time to enjoy the fresh air. So let’s forget dining at crowded, air-conditioned restaurants and find a pleasant place outside. Look for a place where everyone can take off their shoes and relax. Needless to say it’s the best venue for kids and dogs. You do not necessarily need a park with a bubbling stream or a cool lake. I have had quite a few impromptu get togethers in a quiet courtyard in the heart of DC. 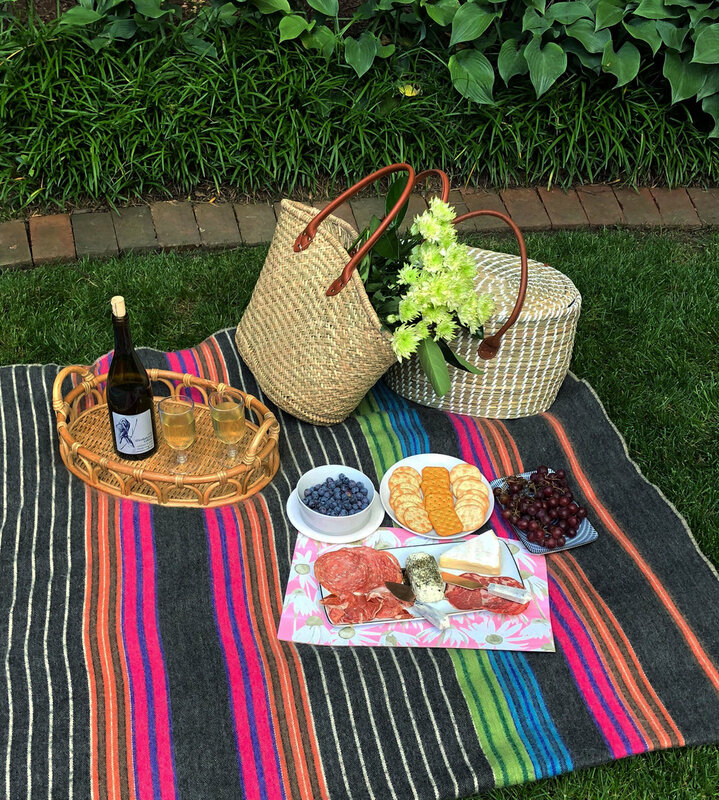 There are so many places where the presence of a picnic basket and blanket send the vibe of slowing down and enjoying the long days in the sun….parks, beaches, rooftops, backyards. 2. Set the mood with a blanket. 3. Manage the crumbs and spills. I bet you thought since you were dining in the great outdoors you could forgo placemats, wrong! Paper placemats under the food and plates are the perfect solution. Not only do they catch most food that slips off the plates but you can just toss them in the recycling when you are finished. Now you can enjoy your food coma and the warm sun. You’ll have a crumb-free blanket for lounging without having to shake it out. 4. Fix the drink dilemma. Ever try setting your glass down on uneven ground? Yup, that’s right, it tips right over. Bring along a light weight tray to create a level surface to protect your delicious drinks. 5. Finger food for the win.